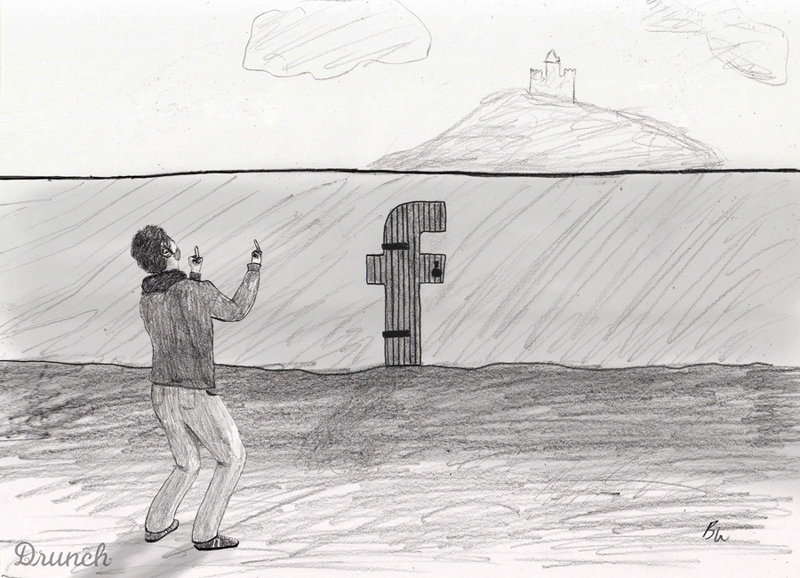 This week, I’m attempting to rid Drunch of its social media dependency. How? Simple. If you like Drunch and want to see more, just click the link to the left that says “Subscribe by E-mail." 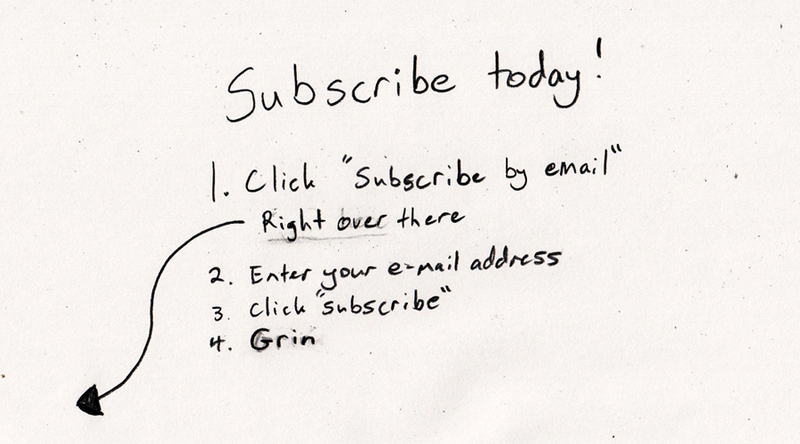 After clicking, enter your e-mail, click "subscribe" and you're all set! By entering your e-mail, updates will come straight to your sweet little inbox and I won’t have to try to harangue you via Facebook — a social media giant whose tumble from the beanstalk imminent. Rest assured, I will never abuse this divine right you've given me. You'll receive once-weekly updates, telling you when new posts are up, and incredibly rare missives of exciting Drunch news. That is all. Thanks in advance for signing up! And if you’re already an e-mail subscriber, good on you! Drunch will be back in force next week with the review of Bonfire, a country-music-blasting, red-solo-cup-serving, bro bar that I hate. Yeehaw!